The problem with the brightness is it increases and decreases automatically. This Problem continues though you update Windows to Windows 10 or update driver. To get rid of this problem you need to follow the given steps. Click Power Options to open the same. On the left-pane, click Choose when to turn off the display option to open Edit Plan Settings window. 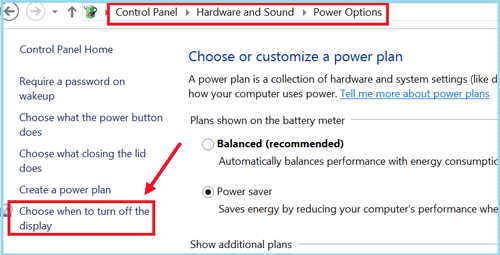 Click Change advanced power settings to open Power Options dialog. Extend Display, extend Enable adaptive brightness, and then select Off option for both On battery and Plugged in. If Problem is not solved then use the method given below. Use this method only if you have a feeling that the screen brightness is automatically adjusting even after turning off auto brightness using the above mentioned instructions. 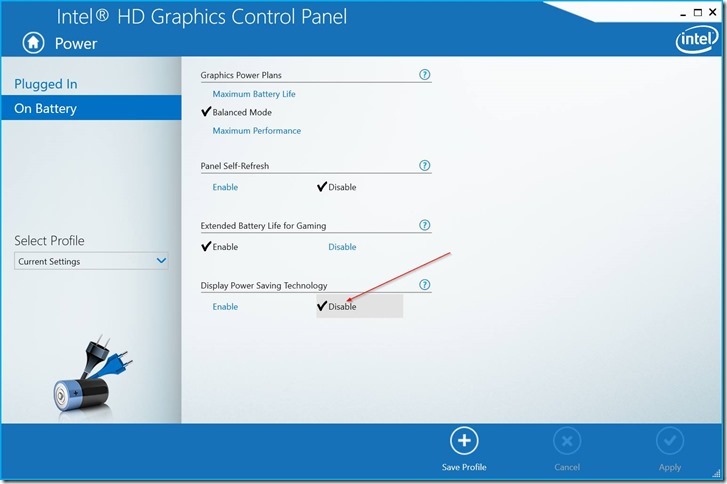 This is only for PCs with Intel on board graphics. Right-click on desktop, click Graphics Properties.NOTE: If Graphics Properties option is not available in the desktop context menu, open Control Panel, change View by to small icons and then click Intel HD Graphics. On the left-pane, click On Battery.